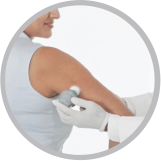 Sensor is applied to the back of the upper arm and activated during an office visit. 14 days without any interaction with the device. Sensor is scanned at the next visit. 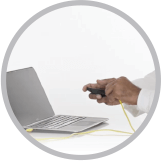 Healthcare professional connects the reader device to a PC or Mac to download reports, which can be attached to EMR. 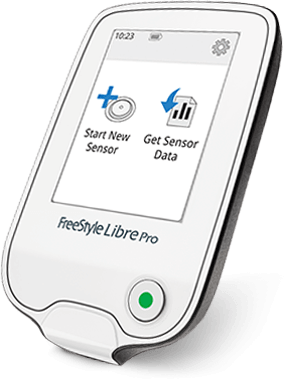 For a complete guide to using the FreeStyle Libre Pro system, please refer to the FreeStyle Libre Pro User's Manual. Want a FreeStyle Libre Pro system for your practice? 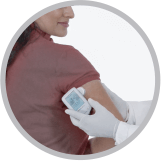 If you’ve liked the benefits that the FreeStyle Libre Pro system can offer you and your patients, you can purchase one today. It’s easy. A personal CGM system for your patients? 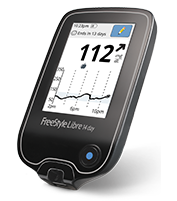 The FreeStyle Libre 14 day system is a simple and accurate3 personal CGM system for your patients. 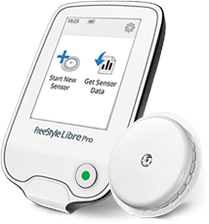 For detailed information on the use of the FreeStyle Libre Pro system, please consult the Operator's Manual. 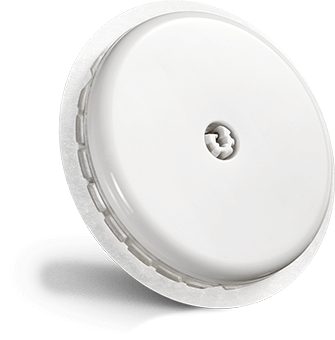 *Sensor is water-resistant in up to 1 meter (3 feet) of water. Do not immerse longer than 30 minutes. Reference: 1. Data on file. Abbott Diabetes Care, Inc. In a study conducted by Abbott Diabetes Care, 80% of patients (n=30) agreed that the sensor was easy to wear due to its small size. 2. In comparison with Dexcom and Medtronic Professional CGM Order Forms, 2016. 3. FreeStyle Libre 14 day User's Manual.